Take a culinary trip across Asia by indulging in a wide selection of vegetarian oriental delicacies at 38 Bangkok Street in Kala Ghoda, Mumbai. It may not be easy to locate 38 Bangkok Street, one of Mumbai’s new vegetarian Asian joints in the by-lanes of Kala Ghoda. But once lunchtime strikes, it will be hard to miss groups of professionals working in the vicinity, line up to get a table here. The restaurant, furnished with minimal but exquisite décor, has an open kitchen to give you a glimpse into the dishes being whipped up for you. 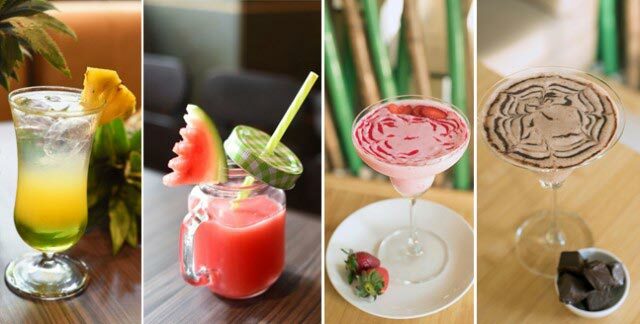 Choose from an array of delicious mocktails: mango lychee smoothie, a blend of mango juice with lychee puree and coconut cream; Miyagi mojito, a blend of passion fruit, lime juice, mint and soda; watermelon lemonade that consists of fresh watermelon juice shaken with ice, lemon juice and triple sec or strawberry colada which is strawberry pulp blended with vanilla ice cream and coconut cream. What stands out is the virgin chocolate martini, a creamy blend of triple sec, chocolate sauce and vanilla and chocolate ice cream. 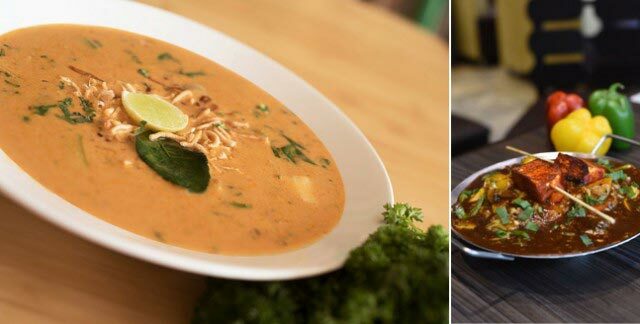 When it comes to soups, thuppa, a Tibetan clear noodles soup with vegetables, and the Burmese classic, khou suey, a noodle and creamy coconut soup served with a variety of contrasting accompaniments, are must-haves. A bite of the som tam salad, consisting of hand-pounded unripe papaya infused with bird’s eye chili, lime and palm sugar will teleport you to straight to Bangkok. 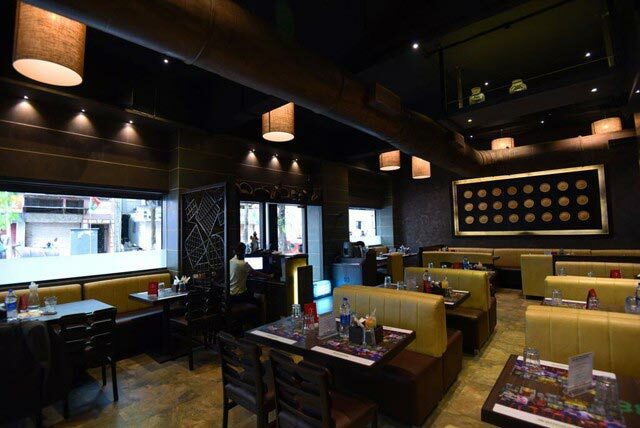 There are plenty of starters to choose from inlcuidng dimsums and momos. Some of the best appetisers are the java lotus stem, crispy fried lotus steams tossed with ginger and garlic and kung pao potatoes with chilli, ginger and cashew nuts. 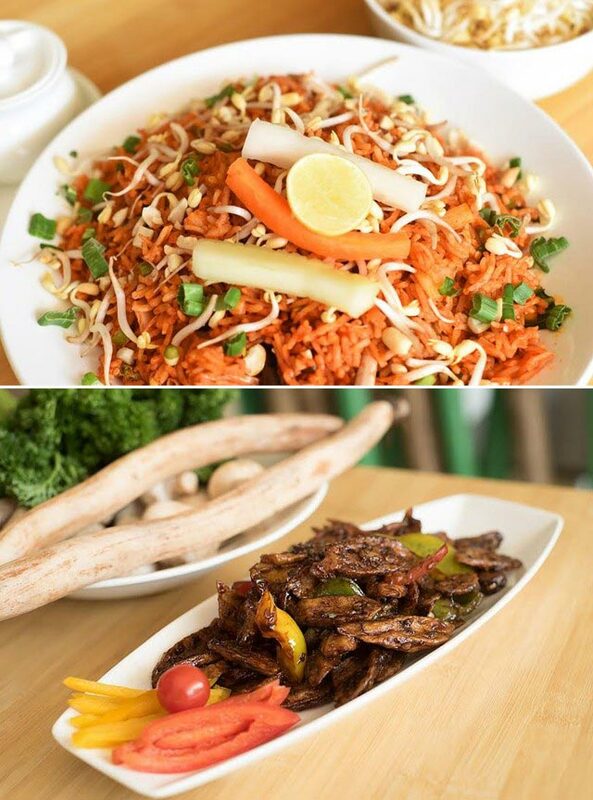 For the mains, opt for stir fry exotic vegetables in coriander sauce and team it up with the Indonesian favourite nasi goreng, fried rice loaded with vegetables and topped with pickled vegetables and peanuts and stir fry Pattaya noodles. The dessert menu is elaborate as well. 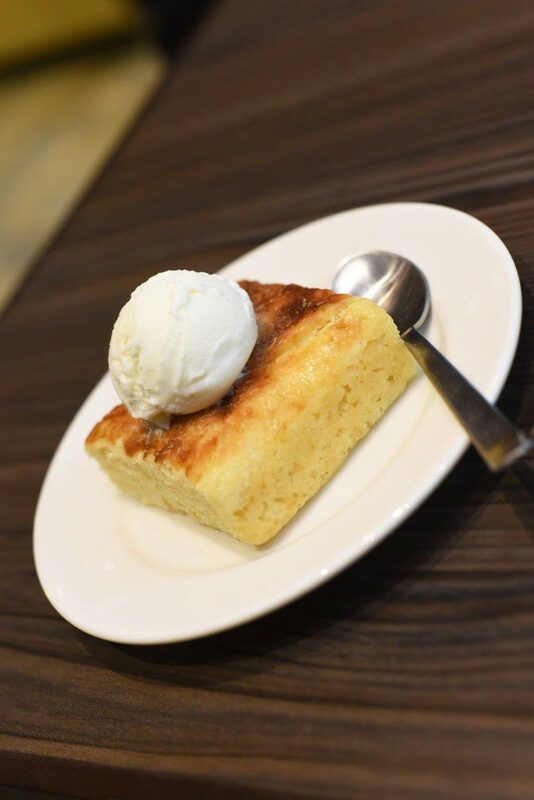 Finish off the Asian meal with Sangkaya, a Thai coconut and pumpkin cake with a scoop of vanilla ice cream.